Robin McGraw is a bestselling author, television personality, and philanthropist. She is featured daily on Dr. Phil, where she is a familiar face and friendly voice to the audience, speaking often to issues that affect women. Robin has worked for many years with a variety of philanthropic causes that serve to improve the lives of women and children. Robin is a national spokesperson for C.A.S.A. (Court Appointed Special Advocates for Children), and she and Dr. Phil have devoted countless hours promoting their recruitment project that has generated over $60 million in volunteer services per year during the last three years, totaling more than $180 million in volunteer services to date. Robin is also a board member of The Dr. Phil Foundation, and a member of the American Red Cross National Celebrity Cabinet. Robin has been recognized for her work in philanthropy with awards such as the Heart of Gold Award by the Starlight Starbright Foundation and the Big Heart Award by the Westside Children’s Center. She is a sought-after public speaker and has appeared on a variety of broadcast programs. She is the author of two #1 New York Times bestselling books: Inside My Heart: Choosing to Live with Passion and Purpose and What’s Age Got To Do With It? 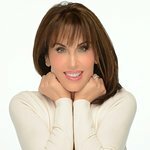 She established When Georgia Smiled: The Robin McGraw Revelation Foundation to create and advance programs that help women and children, especially those affected by domestic violence, live healthy, safe, and joy-filled lives. Google trends for "Robin McGraw"
We don't have any videos related to Robin McGraw.